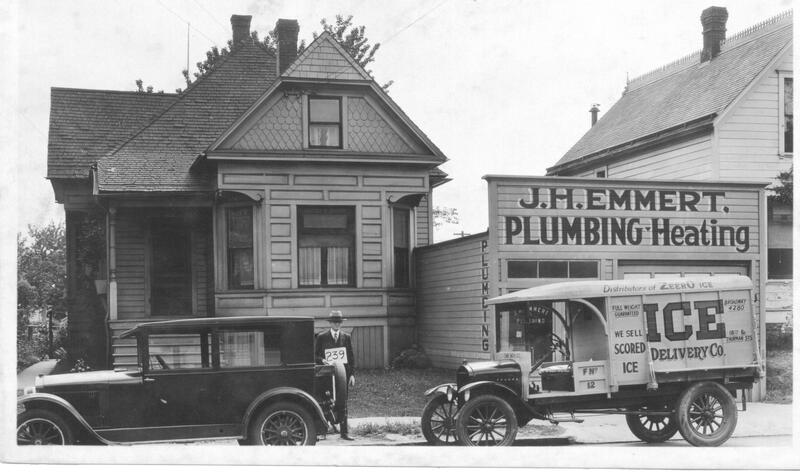 A number man standing outside 3820-3824 NE Union Avenue (Martin Luther King Boulevard), near NE Failing Street, 1929. 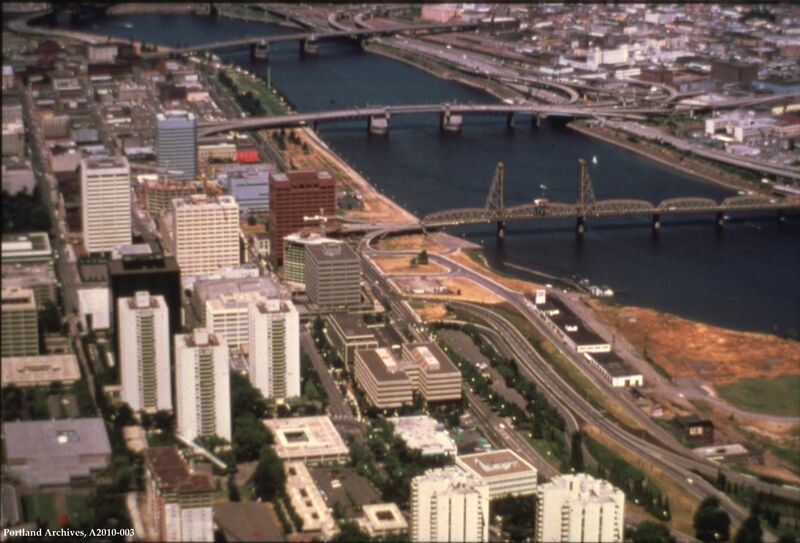 A view of Portland’s South Auditorium Urban Renewal area and waterfront, looking northeast, circa 1978. 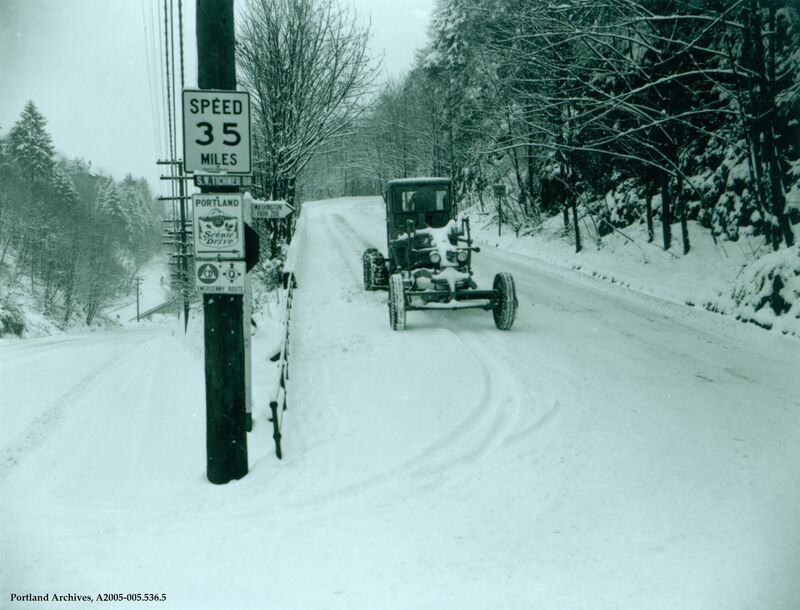 A Grader being used to plow snow in the Southwest Hills at SW Tichner Drive, circa 1956. 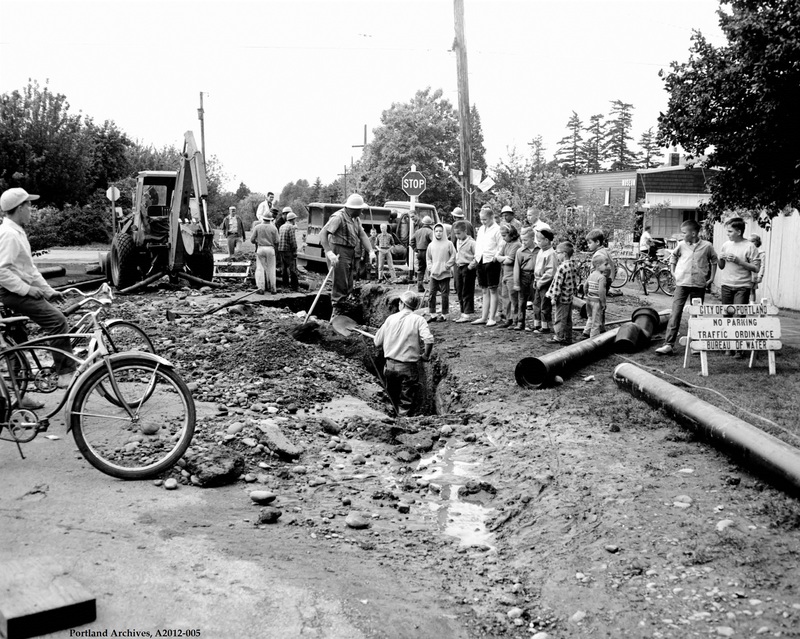 Children gathered to watch men work on a water main break at NE 70th Avenue and NE Prescott Street, May 29, 1962. 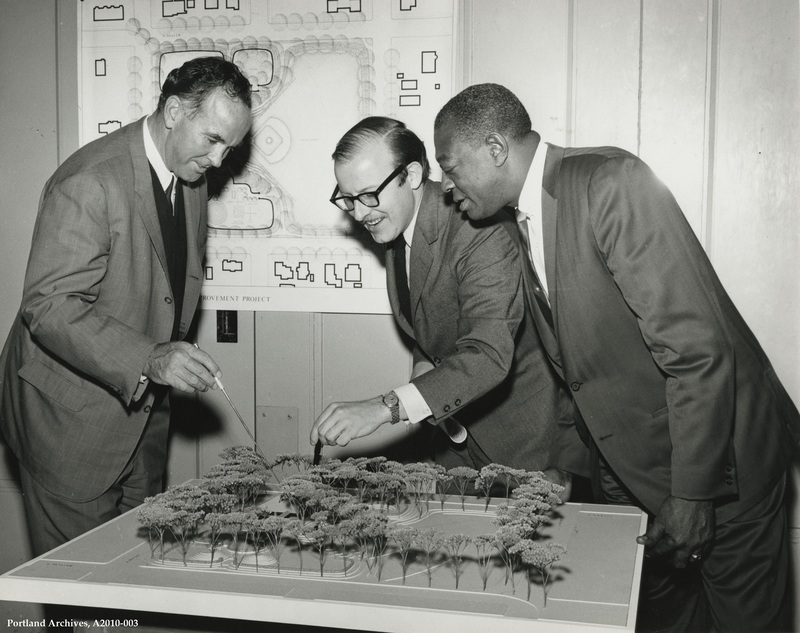 John Kenward, Robert Perron, and Herman Plummer, Albina Neighborhood Improvement Project (ANIP) project manager, with a model of Unthank Park, circa 1963. 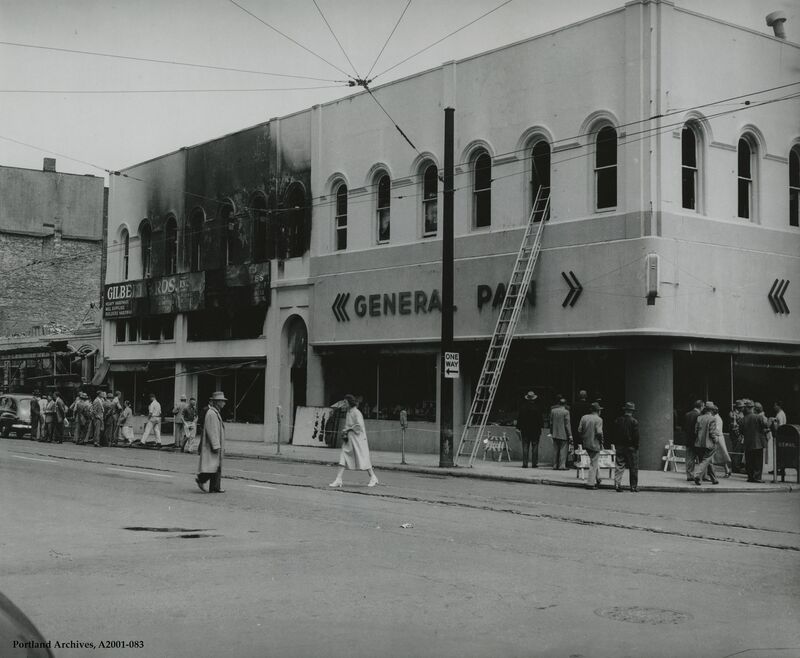 Fire damage near SW 2nd Avenue and SW Taylor Street, 1956. SW Yamhill Street and SW 2nd Avenue. 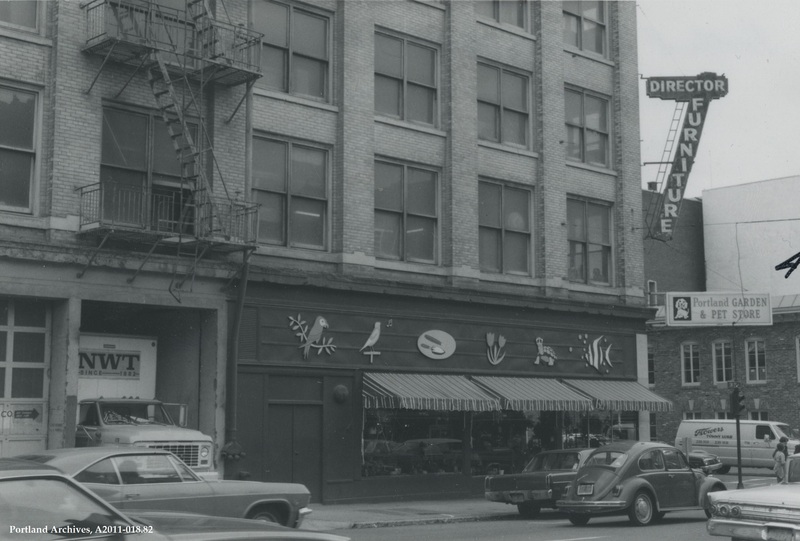 This image is part of the documentation collected by city employees during a 1976 Sign Compliance Survey.